Welcome to 30 Crafty Days of Halloween! This Halloween Stuffed Roaches recipe post is part of our guest blogger series. This post contains affiliate links. Make sure to check out all of our Halloween Tutorials for more inspiration! Hey, y’all!! I’m excited to be joining Vanessa in her 30 Crafty Days of Halloween series! If you don’t know me, I blog over at Love Bakes Good Cakes where I focus on family-friendly recipe ideas. The blog name would lead you to believe I that only talk about cakes, but I know we can’t live on cake alone. Oh how we all wish though, right?! So there’s a little known second part of my blog name – Love Bakes Good Cakes and Brews Good Stews. That was just too much to say and type all of the time, so it eventually was shortened to Love Bakes Good Cakes with the other half of the name becoming a tagline of sorts …. but whatever. Plain and simple, I like food. I like to make food. I like to eat food. And, I like to share food. That’s pretty much my story!! 😀 If you already know my blog, then I’m super excited to see you over here at Vanessa’s place, too!! 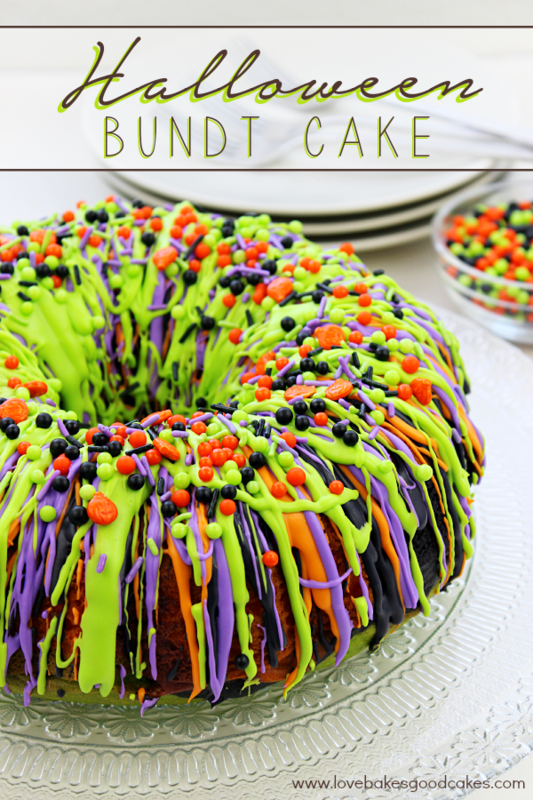 So … back to Halloween recipes. 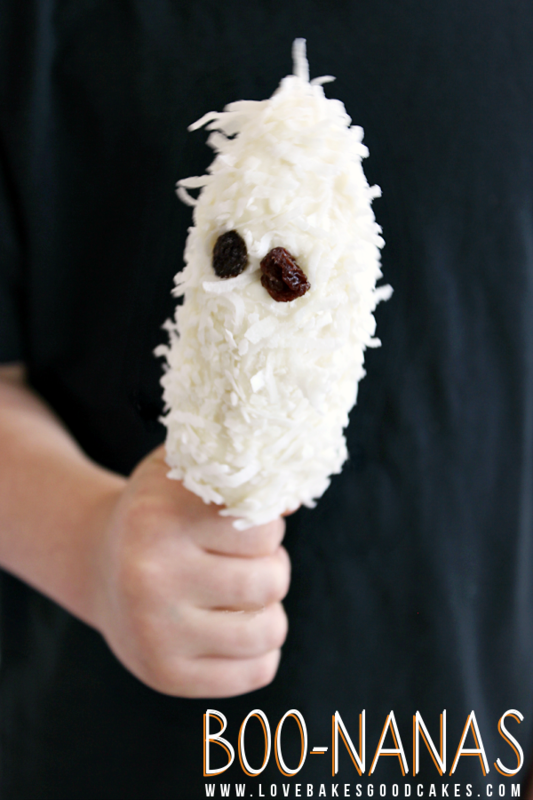 This has to be one of the grossest recipes I have – and my kiddos get such a kick out of it every Halloween! It’s so gross in fact, that my 4-yr old daughter refuses to eat them because she thinks they’re really bugs. Obviously, we need to work out some trust issues in the LBGC house – especially if she really thinks I would honestly feed her bugs! 😀 To really trick out the effect, be sure to scatter a few plastic roaches among the Halloween Stuffed Roaches – you’ll be sure to get a few comments! 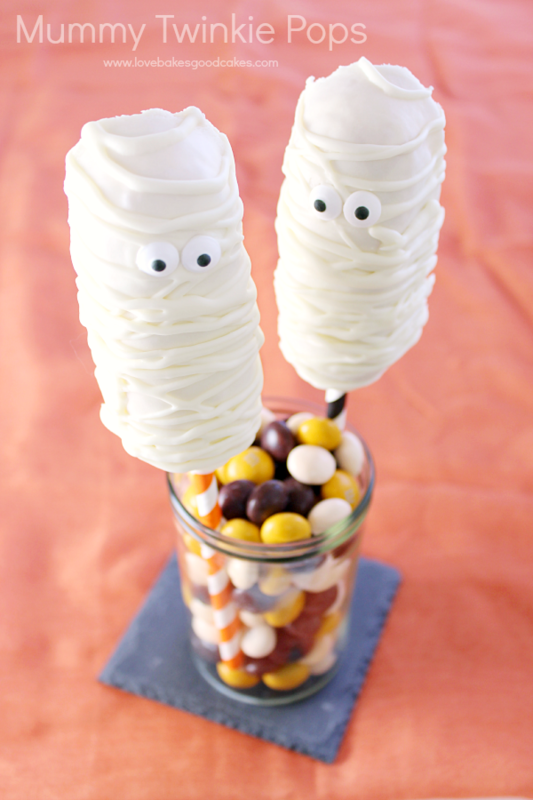 We love sharing this at our neighborhood block party and when we go to Halloween parties – people just love to talk about these little bug look-alikes!! Are you ready to freak your friends and family out this Halloween?! Let’s get to the recipe, shall we?! 1. In a small bowl, mix cream cheese and walnuts together until well combined. 2. Using a small sharp knife, slice one side of each date lengthwise creating an opening, being careful not cut all the way through dividing the date in half. Carefully spoon or pipe the cream cheese mixture into the middle of each date. Pinch the dates closed. 3. Serve immediately or cover and refrigerate until serving time.